On Saturday we fancied a return visit to the Redditch area just south of Birmingham as there seems to be an explosion of new caches around there at the moment. I thought I’d found a lot in the area last weekend but a quick check of Memory Map revealed a ton more to do. 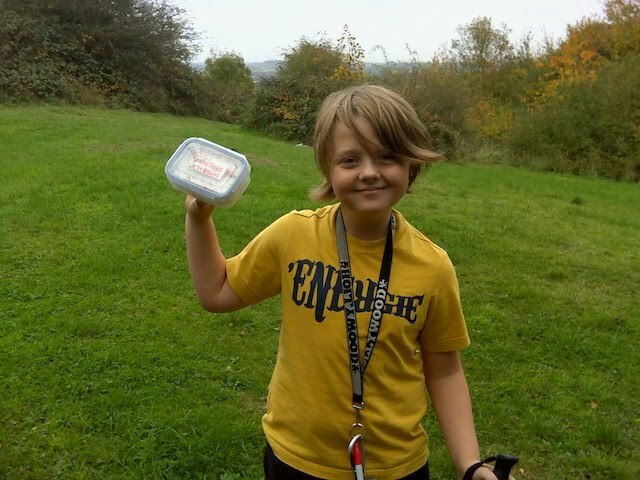 Isaac has finished school for half term so was free on Saturday, the weather was looking perfect and there were tons of caches to find. Perfect! We aimed to start off with the Hagley Loop series, a set of 9 new caches along with a stand alone cache along the way, forming a nice circular walk. We parked up by the first one and off we set. We kept bumping into dog walkers on every part of the walk so had to wait them out before diving in for each cache. Nothing too taxing here and we were soon back at the Jeep and ready so set off for the short drive to the next caches for the day. We parked up by the lovely church in the village of Belbroughton for the Belbroughton Bimble series. This is another circular walk of 10 caches, with an extra stand alone cache on the way round. This turned into another excellent walk in great countryside with a nice variety of hides and cache sizes to keep things interesting. The only matter of note was a slight mishap we had on #10 in the series. We could not decide which side of the hedge this one would be on so as usual, when faced with a choice of two things, we picked the wrong one – doh! Isaac then crawled under the hedge to the other side for an easy find. He then had the brainwave of throwing the cache over the hedge to me on the other side. A nice idea but he threw too low and the cache popped into the top of the hedge. We peered into the hedge for ages, shaking it with my walking pole and could not spot the cache anywhere. We logged a Needs Maintenance log on the iPhone immediately just in case any other cacher’s were doing the series and have email you about the mishap. We’re gutted about losing the cacge and can only offer our sincere apologies as the cache will almost certainly need replacing. The cache owner has been very nice about it and is hoping to go out and replace the cache in the next few days – phew! 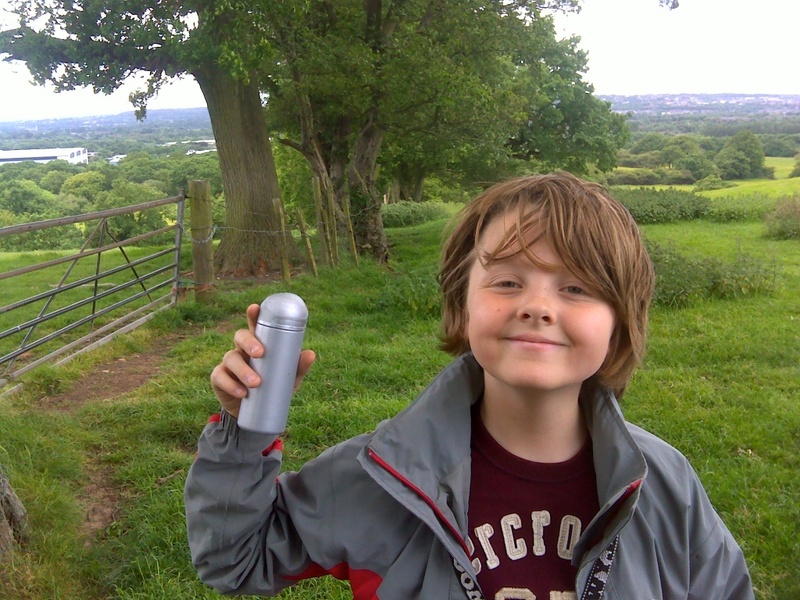 After we got back to the Jeep, it was a short drive to the three new caches in Catshill near Bromsgrove. 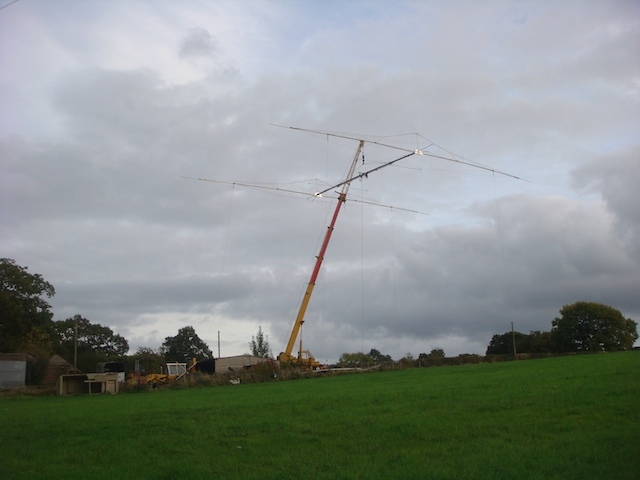 All nice easy ones and we were soon on the M42 heading east to the new Morton Meander series to the east of Redditch. a sneaky hide on #6 that thankfully we’d seen before otherwise we might have missed it. loads of friendly cows right by #11. They must have thought we were the farmer as they all trotted over as we approached the field they were in. Not a bother though and we soon had the cache found and were on our way. a cache hung on a fence that Isaac initially thought was a padlock for some reason (I’m not giving anything away by saying this). He mentioned it and I said “why would someone hang a padlock on a random fence”. 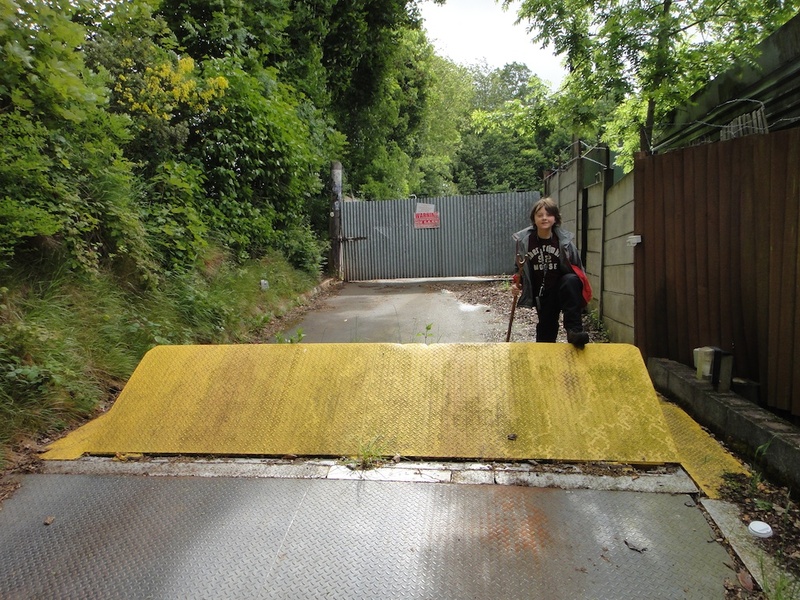 He then twigged and had the logbook in hand in seconds. With this series finished, we were on 40 finds for the day and we still had a bit of time left. A quick look at the caches on Memory Map and we decided to head for Redditch itself and some urban caching to see how we go. This would also leave us with a quick exit to the M42 and northwards to home. We grabbed a quick one by a bus-stop on the way into town and then another quick one not too far from the road in some woods. 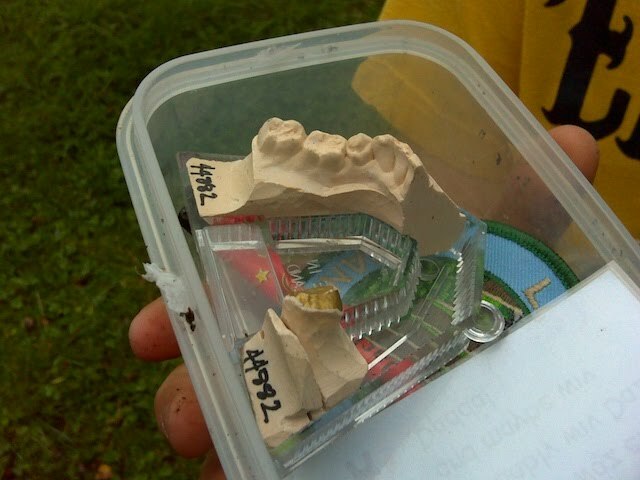 The third cache has the most bizarre swap we’ve ever seen in it: a cast of someone’s teeth. Why the heck would anyone leave this as a swap as I can’t imagine who would want to swap anything for it. The rest of the caches were all near supermarkets and near railway stations and nothing much to report on. Just as it had gone dark we bagged out 50th find of the day, so decided to call it a day and head home for some tea. Another fab day out with some great walks in lovely areas. Can’t beat this kind of caching. 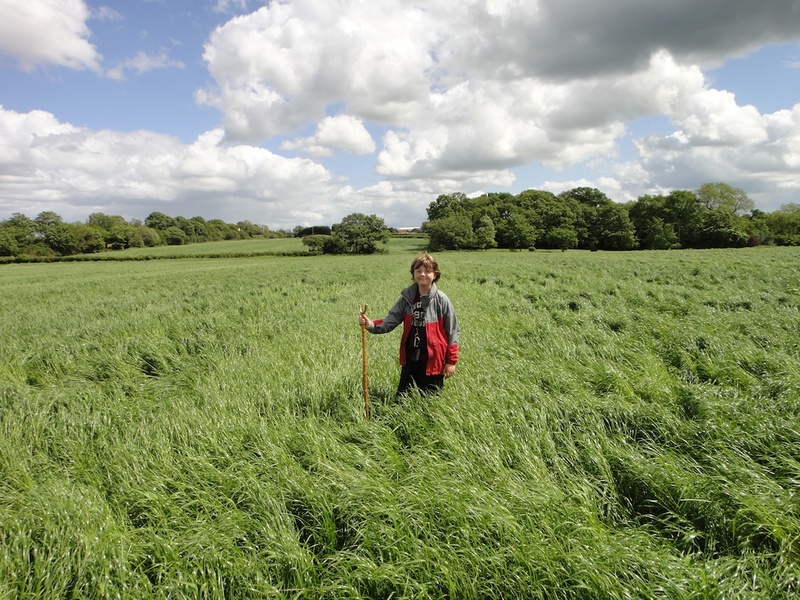 Isaac was at school on Saturday so I decided to go out and do the kind of caching I really like – good walking in great countryside. A series of puzzle caches near Redditch that form a circular walk, followed by another circular walk of traditional caches by the same cache owner looked perfect. I headed down the M6 and M5 and was soon parking up by the first cache which was an easy drive-by. Next I moved the Jeep a bit further along the lane and set off on foot for the puzzle series. A good variety of cache container sizes, with quite a few of them being bigger boxes. Varied terrain with only a few ploughed fields to cross. A cache with some absolutely fabulous views over towards the Malvern hills. A field of curious cows who thankfully kept their distance. Nice quick finds with great hints if you need them. Some lovely woodland on two of the caches. All too soon I’d completed the series, so moved the Jeep round to the start of the next circular walk. This set were traditional caches, with three puzzle caches thrown in for good measure. One of the puzzles was easy, the other I needed Freya’s help and the third is found by finding the first two puzzles. I soon realised I was following graham1876 round the series but suspected he had done them a lot earlier in the day. I stopped for my sandwiches at a cache with another great view of the Malverns and then pressed on with the rest of the caches. All of the series were nice and easy finds, lots of variety and beautiful countryside to walk through. This is exactly the kind of caching I enjoy. After I’d finished the second series and found the three puzzle caches, I spotted a nearby drive-by Joy-Jar cache so off I went in the Jeep to find it. Another really quick find here. Next, I aimed for a cache by a windmill we’d missed out ages ago when in the area doing Cakemaker’s nearby canal series. Try as I might I could not spot the nano, even with the very precise hint. It’s got to be missing. I logged a DNF on it and not long after the cache was archived as it’s gone missing in the past too so time for it to be put to bed. Time was getting on a bit by now but just enough time to go and find a group of 4 caches on the edge of Bromsgrove that we’d missed out on our last visit to the area. On the walk down to the first one, I passed what must be the biggest ariel I’ve ever seen. It was right by a small house and not official looking at all. I don’t know what the person from the house needs such a huge ariel for (it was on top of a mobile crane!). 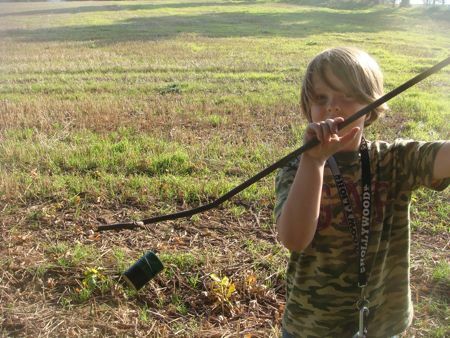 I managed to find 3 of the 4 caches in this group. I had to give up on the last one as two female dog walkers came over the nearby field towards where I was and spotted me. They stopped and started to look very uncomfortable at me loitering around. The last thing I want to do is scare dog-walkers so I moved on. I really must be getting home now, but I could just squeeze in a couple more caches couldn’t it? Of course it could! A quick one on a canal towpath was followed by another one on a towpath. Then I did a quick Sidetracked cache followed by the last cache of the day at the Services area on the M42. 41 finds for the day, some excellent walking and I’ve hardly seen a soul all day long. Great stuff :-).